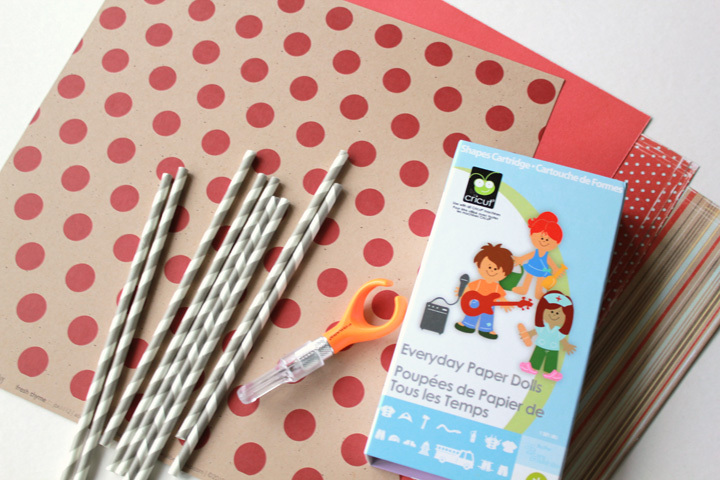 You'll need just a few supplies: heavy cardstock, a craft knife of some sort (I love this little one from Fiskars), paper straws, and a die cut/punch/shape maker (I used Cricut). Okay! Let's get started. 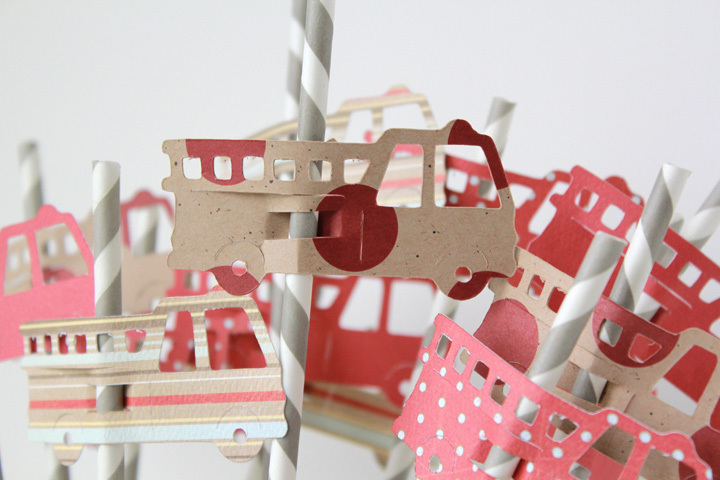 First, cut or punch your shapes from your cardstock. I like using a variety of coordinating papers to add dimension and color to the project. You could even cut a variety of coordinating shapes. Hold your cut-out up to the straw to make sure that the size looks proportionate. When you have all of your cut-outs, lay them out on a self-healing surface or a thick sheet of cardboard. Using your craft knife, cut two parallel slits horizontally in your cut-out. Weave a straw through the cut portion so the majority of the straw is behind the cut-out. 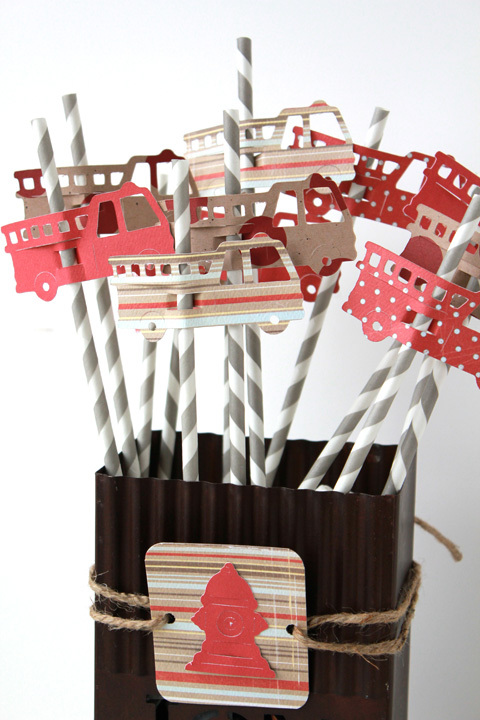 Arrange assembled straws in an upright container and display near the cups and drinks. That is it! For more straw flare inspiration, you can visit me over at girl. Inspired. 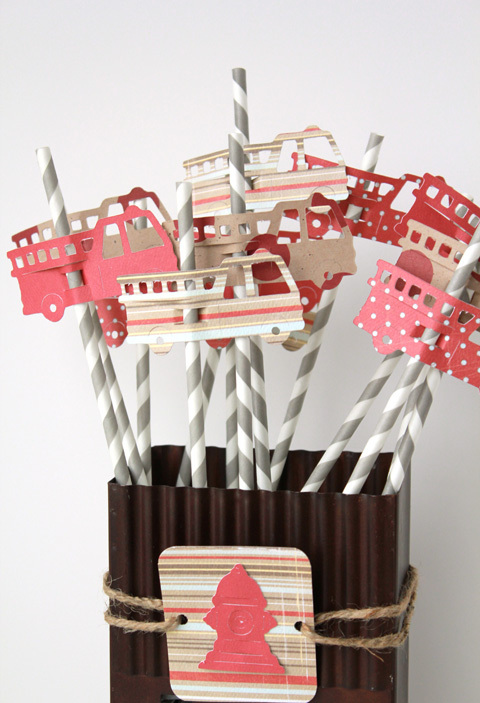 where I'll show you a cute girly version and another way to display the straws!